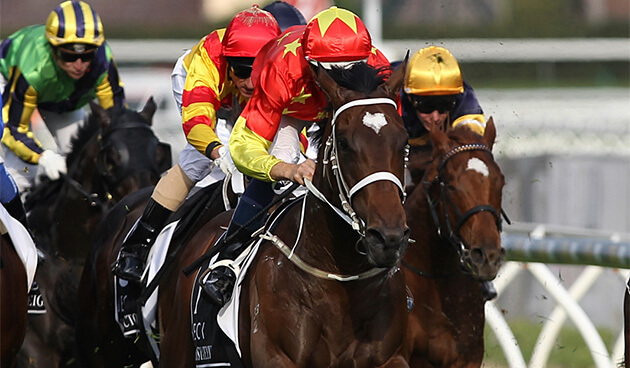 A decent card tomorrow and our Melbourne man gives us his runners to include in the quaddie. The rail is out 10m which means you normally want to be on the pace. We’ve had some rain Thursday night and Friday morning. Quick walk of the track yesterday and it was quite firm. Will walk again at lunchtime today. Should roll forward and sit outside the leader. Drops in weight from last run and looks suited at 1400m. Will race handy as well. Came through the same race as Revolving Door and was caught wide the whole way. Maps to get a better run here. Had to go back from a wide barrier last start and covered plenty of ground. Drawn inside to to get a better run. Was coming off a 28 day break in the same form race and laid in late. Winkers go on and can improve off last run. Enigmatic horse who is first-up off a long break. Looks the leader, but not sure how fit he is. Have rated him 1 length off his best. First start for Weir. Have rated to its best rating. Last start ran 2nd to Vega Magic which won the Goodwood in May, so can get a line through that form. Have to include in the quaddie. Resumes as well. Up and coming horse who ran 3rd in the Goodwood and 3rd in Group 2 at Randwick in April. Lightly raced promising horse. Been racing in Brisbane. Fresh here, having its first start for Matthew Dale and Williams is booked. Rated it to its best. Leader. Doesn’t look to be a huge amount of speed in its race. Consistent horse, only has to run up to last start and with the lack of speed should have every chance to do so. Won well the other day and she’ll box seat here. Mertens goes on. Caught wide 1st up and ran nicely. Produced peak figure 2nd up last prep. Looks to get a good run here. Over-raced last start. Quick back up here with the blinkers coming off. Has any number of runs in previous prep that would blow these away. Doesnt need to run near his best, just needs to be close to it to be competitive. Ran well last start in a good rating race. Maps well here and has a good record at the trip. Returned to form last start here over this trip. Maps to get a similar run and drops 8kg in weight. Won its past two having the run of the race both times and may get the same here. Big chance but Up in class and short enough. Ran 2nd last start after sitting wide the whole way. Maps a bit better here. Chance at odds. Came through same race as Airalign and just beat him home. Gets Craig Williams.